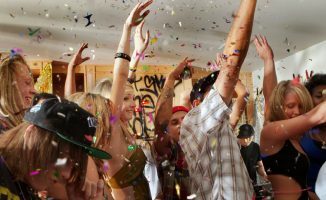 A fully fledged if basic DJ controller, a mini light show, and change out of £100: Hercules is gunning all-out for the Christmas house party market with this release. 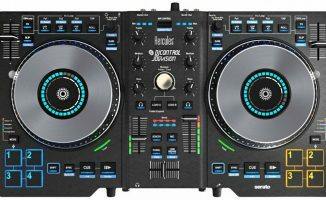 Out in time for Christmas, the Hercules DJControl Party Pack may be a tiny bit too expensive for a stocking filler, but it’s certainly a party in a box, offering a DJ controller and light show for around the price of a dirt-cheap smartphone. 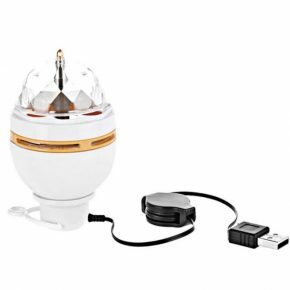 A curious egg-like USB light completes this package. 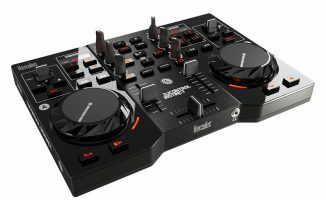 The package consists of the entry-level DJControl Instinct controller (here’s our review) – now in a revised “S Series” livery – along with a USB-powered mini LED that you can plug straight into your laptop while DJing to add a bit of excitement to your house parties this coming festive season. While this set-up is not going to appeal to professionals or even serious hobbyists, its notable that Hercules targets this end of the market with thoughtful touches. 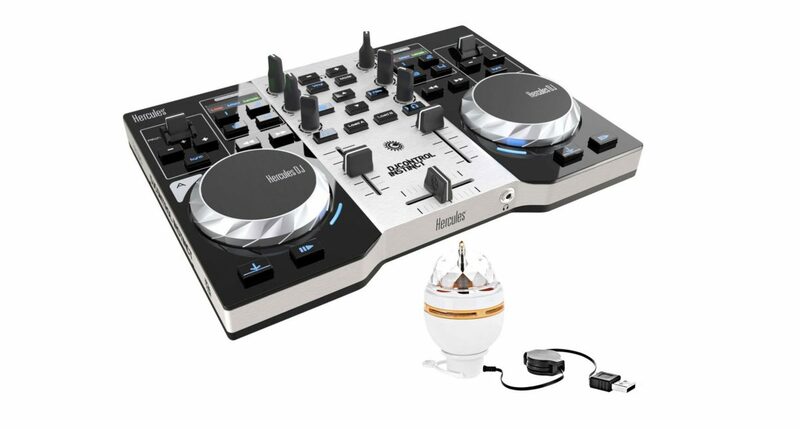 For instance, as well as the addition of a novelty light show, the supplied controller in this pack has an 1/8″ stereo jack master output alongside the more usual RCAs, making it easy to plug in those computer gaming speakers you already own for a spot of DJing. 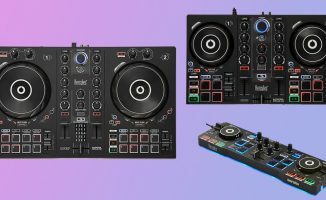 So not to be taken too seriously, but likely to be seriously good fun at many a house party, the Hercules DJControl Instinct Party Pack will retail at £89.99. Do you own this pack? What do you think of it? Let us have your thoughts in the comments below.